220. 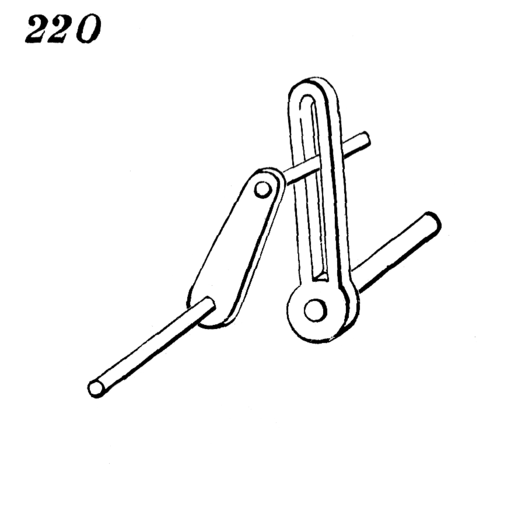 The two crank-shafts are parallel in direction, but not in line with each other. The revolution of either will communicate motion to the other with a varying velocity, for the wrist of one crank working in the slot of the other is continually changing its distance from the shaft of the latter.